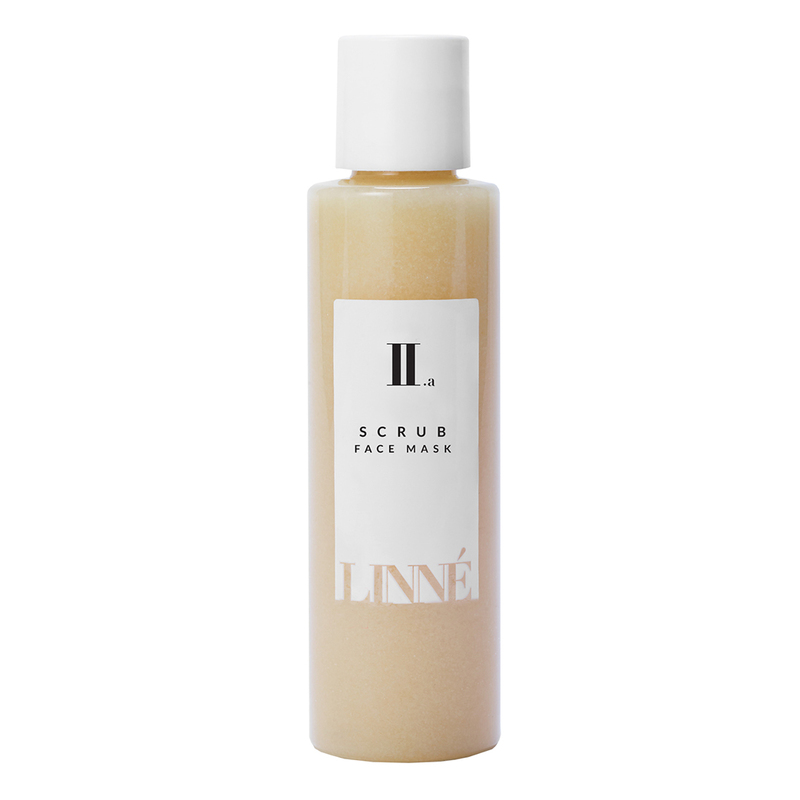 LINNÉ'S Scrub Face Mask is crafted from ingredients that leave skin feeling silky smooth. Its use of Bamboo Silica makes skin look clear and revitalized. It improves the appearance of blemishes, gives skin tone an even look, and minimizes the appearance of under-eye dark-circles. Massage SCRUB onto dry skin for a clean, clear appearance. Allow to remain on skin for 2-5 minutes to best improve the look and feel of skin. Rinse with warm water and sea sponge to reveal a radiant appearance. Weekly use will provide best results. Follow with REFRESH mist, RENEW face serum and a face oil. Contains alpha-hydroxy acids; sun protection is advised. Sea sponge included.